The abortion industry is home to a new epidemic: closure. Another clinic, this time in Asheville, NC, closed this weekend, local news reported. It was the only abortion facility in western North Carolina. The owner of the Femcare facility, Lorraine Cummings, is retiring, according to Planned Parenthood. Planned Parenthood says it has the land and permits to open a new abortion facility in the city by December, and is planning to replace the closed facility with a Planned Parenthood. Currently, patients will have to drive to Charlotte if they want an abortion. Asheville isn’t an anomaly, though. 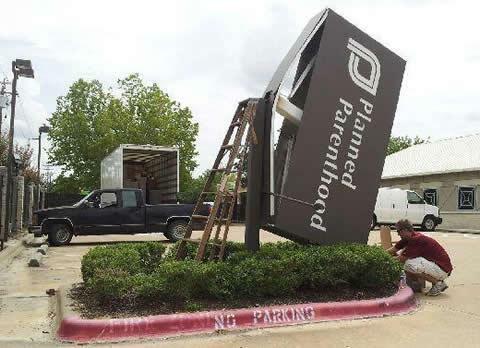 Just a few weeks ago, the only abortion clinic in Corpus Christi, TX became non-existent when the sole abortionist there, Eduardo Aquino, retired, as well. Recently, the Killeen Women’s Health Center became one of the more recent Texas clinic closures when it could not meet the safety standards of HB2. Neither North Carolina nor Texas is the lone star of abortion closures, however. Besides them, the string of closures lately spreads nationwide. Earlier this month, Planned Parenthood announced it would be closing three Oregon abortion clinics. And last week, another Alabama clinic was unable to meet recently passed safety standards and announced it would surrender its license. The abortion industry’s nightmare is the reason thousands of unborn babies now have a chance to dream. CORRECTION NOTE: A previous version of this article incorrectly referred to Lorraine Cummings as the owner of a Planned Parenthood facility when she is actually the owner of Femcare.